Obama's Socialized Medicine Program - Sign Me Up! Actually, sign me up for Plan B or C instead. Many fear that Obama’s end game for health care reform is a single-payer (read: government) system, despite his denials that this is his objective. Single-payer zealots argue that if government takes over health care, that many of our intractable problems will be solved. We will save tons of money, they argue, from increased administrative efficiencies. Spiraling health care costs will be tamed under the government’s whip. Private insurance companies will no longer gouge the public with rising premiums and unfair exclusions for preexisting medical illnessess. The 46 million uninsured would be covered. Big Pharm can finally be caged by Big Government establishing price controls. And, with the government in charge, the president can submit a bill to congress simply outlawing cancer. I agree that single-payer would resolve many recalcitrant issues, but at what cost? What health care system would we be left with? A guillotine is an effective treatment for a headache, but most of us would rather have the disease than the cure. Single-payer may also kill the very patient it is trying to save. Single-payer cheerleaders are shrewd strategizers. They know that we choose shampoo based on the shape of the bottle and the color of the contents. Similarly, they are trying to package their panaceas in the most palatable manner possible. You’ll never hear any of them use the term socialized medicine or medical rationing as they advocate for a government run health care. Instead, they will use a bland description such as National Health Program. Even a sanitized label, however, cannot disguise their health care vision for America. (I’m tempted to use the lipstick on a pig line that Obama used in the presidential campaign, but I will refrain in order to preserve the dignity of this blog.) Let’s look at another government run institution that we all know well. Do we want our health care system to have the same high level of quality and customer service that we enjoy at the Division of Motor Vehicles? Keep in mind that health care is probably more important than the quality of our drivers licenses and vehicle registrations. The DMV experience is what is it because the incentives of the government and those they serve are not aligned, and the public has no recourse whatsoever. Does this sound like a prescription for a better health care system? Every breathing American knows that we face complex failings in the current health care system. We need thoughtful reform that will achieve and preserve outstanding health care for all of us. Government has a role and an obligation in this process, but ultimately it should not hold the entire world of health care on its shoulders. With the exception of the military, I don’t think that government runs things particularly well. In general, I think that the private sector does it better. For those who think otherwise, I have a great financial tip for you. Invest in General Motors today since the government now owns 70% of the company. This is a Cadillac opportunity for all savvy single-payer investors to strike gold. I predict, however, that the lines of investors will be much shorter than those at the Post Office, the DMV or at medical clinics and hospitals in England and Canada. Socialized medicine, I mean single-payer, is really a new application of Obama’s cap and trade environmental policy. Costs are capped and medical quality is traded for mediocrity. There is a serious and expanding effort to address corruption in medicine. Regulators and lawmakers are addressing cozy relationships between physicians and industry to protect patients from financial conflicts of interests that may skew doctors’ medical advice. This is murky territory since not every potential conflict is corrupt. For example, is it acceptable for an orthopedist to benefit financially by using a particular artificial hip if the physician believes that this is the best product available for his patients? Does this practice become ethical if the physician discloses this financial arrangement? Are his patients entitled to know the actual dollar amount that the doctor receives? Is it proper for a gastroenterologist to receive a generous honorarium by a heartburn drug company to speak to primary care doctors about reflux treatment? Could this physician be trusted to offer truly objective information to his primary care colleagues with the company’s pharmaceutical representative sitting beside him? If medical researchers receive ‘consulting fees’ from drug companies or medical device companies, does this taint their scientific studies? Does a bland disclosure at the end of the study, such as Dr. Diamond is a paid speaker for Quartz Drugs, Inc, enough to sanitize the study? Three Harvard researchers are being investigated for promoting certain medications after accepting millions of dollars from the drug companies that manufacture them. These fees were not properly disclosed. With every passing month, we learn that entangled financial relationships between physicians and industry are not aberrations. Currently, there are many similar allegations under review, and more will surely follow. However, there is nothing intrinsically evil or unethical about physicians making money or even becoming rich. I make money every time I perform a colonoscopy. One could argue that I have a conflict of interest because my recommendations for colonoscopies are contaminated by my financial self-interest. Of course, this would also be true for attorneys, car mechanics, financial advisers, plumbers, retailers and anyone else who sells a product or a service. However, as long as the advice is pure, or the service is truly needed, then it is reasonable and proper that the professional or tradesman is paid for his effort. Hidden financial relationships, however, that a reasonable patient would want to know about, are unethical. Disclosure should be sufficient so that patients or medical journal readers can consider their potential influence and impact. 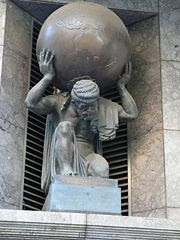 Disclosed conflicts, however, can be proper and beneficial. For example, you consult a highly qualified heart surgeon to discuss replacing your aortic valve. He recommends a particular type of valve and discloses that he is an investor with the company and serves as a senior medical consultant. He has helped the company to improve the valve’s performance and longevity. He further states that he has been doing heart surgery for 20 years and truly believes that this is the best product on the market today. This is why he is affiliated with the company. Do we want the anti-conflicts of interest brigades to end relationships between physicians and industry like the one described above? If such a doctor is compensated, does that imply that he is corrupt? Of course not, but it would be quite easy to tarnish his reputation with a few salacious headlines. Collaboration between physicians and industry has brought great benefits to the public. We need to be cautious before we erect too a high wall between them in the crusade against conflicts and corruption. Naturally, there are abuses, and they should be exposed, investigated and sanctioned. But let’s not rush to embrace a puritanical policy that will stifle medical advancements as it takes wild aim at every perceived conflict. I hire lots of folks and pay them for their time and advice. Just because they make money on me, doesn’t mean that their advice is improper. We want a policy that handcuffs rogue individuals, not an entire profession. Should every professional be paid a straight salary so that their income is not linked to their advice or performance? While the potential for corruption under such a system will be markedly diminished, the level of quality may sink even lower. Mediocrity is too high a price to pay for purity. Here’s a doctor’s advice for the regulators and lawmakers who are looking to sweep up my profession. Put down your chainsaws. I’ll loan you a scalpel instead. We watched the marriage on national TV. Both sides said, ‘I do’, as they faced a fawning audience of the press and government dignitaries. The couple, arm and arm, started ambling toward their parked limousine, festooned with bright Just Married signs. Newlyweds, usually wives, track many of the first events in a marriage. One of the recorded stats is the first argument. When it occurs, savvy husbands should save time and themselves by apologizing profusely and admitting shame and remorse. 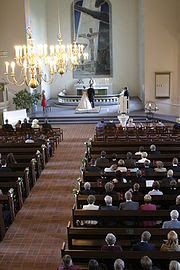 For most couples, this inevitable post-nuptial event occurs weeks or months after the solemn wedding vows are expressed. In the White House marriage we watched last Monday between Obama and a coalition of health care groups, the sniping started barely after they left the chapel. Wise bloggers had predicted this outcome, but I admit that I was mildly shocked at the speed that the bride pursued an annulment. What went wrong? 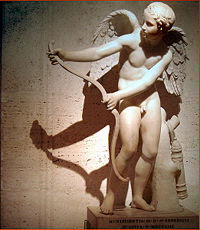 Did that prankster Cupid dip his arrows into a vat of single-payer elixir poisoning the affair? This is not a simple example of wedding day ‘cold feet’. It’s more like frostbite. We all heard the terms of the wedding contract read to us by the proud husband. The 6 medical groups would voluntarily set aside their own interests to serve America. Over the next decade, they would each shave off 1.5% of health care spending, which would save the system over $2 trillion. While successful marriages demand compromises, this agreement sounded hollow to even casual observers of the health care reform process. Groups and individuals will give in to serve the greater good, but they won’t agree to self-destruct. . The medical groups, barely out of their white gowns, cried foul. “We never agreed to that”, they announced in unison. They issued ‘clarifications’ and tried to set the record straight about what commitments were actually made, which all sides agreed were voluntary and unenforceable. (Shouldn’t Obama, a trained lawyer, have insisted on a pre-nuptial agreement just in case the romance faded?) The medical groups now stated that there was no firm agreement on annual targets, only goals that they would incrementally pursue. Sounds like a he-said she-said spat where each side has its own version of the facts. This is a very inauspicious beginning of health care reform and a reminder its complexity. The health care players will now become even more suspicious of the president and will be more reluctant to walk down the aisle with him. There will be no shotgun weddings or elopements. Interest groups will insist on very long engagements and will use the time to gain the most favorable terms possible or to derail the effort entirely. Don’t expect hospitals, physicians, insurance companies, pharmaceuticals, etc. to fall on their swords on the altar of health care reform. They know that this is going to be a long chess game and a bad move early in the game could doom the outcome for them months or years from now. Pharmaceutical companies, for example, are doubling down and are pouring money into their lobbying coffers. Obama has to decide whether to proceed with a frontal assault, pursue a flanking maneuver or try to divide and weaken the opposition. While Obama will revise his tactics, he won’t modify his ultimate objective. I think he knows exactly what he wants our health care system to be, but he hasn’t come clean with us yet. I suppose that every husband is entitled to keep some secrets. Can you feel the love? Cupid ran out of arrows in Washington, D.C. this week. On Monday, several medical industry groups including physicians met at the White House for a health care reform love fest. For as long as I’ve been a physician, the pharmaceutical industry, insurance companies, hospitals, physicians and medical device makers all viewed medical reform as a disease that needed to be vanquished. This week, these erstwhile reform antagonists are sitting around Obama’s campfire in a Kumbaya moment. These health care stakeholders pledged to reduce health care spending (read: their income) 1.5% annually over the next 10 years. What happened? Were they drugged or hypnotized? Is there a secret deal that we don’t know about? Did they drink the Obama Kool-Aide that has intoxicated much of the nation? Did they hear an inspiring sermon at their church services this past Sunday and were inspired to do the right thing for America? The correct answer, of course, is none of the above. These medical interest groups are savvy survivors and are feigning cooperation with their eyes wide open. They have calculated that it would be a clumsy strategy to oppose the president at this early phase. In particular, the pharmaceutical industry, so often demonized in congress and in the press, needs to buff its image now before it is given a scarlet letter and ostracized. These groups have even suggested cooperation with comparative effectiveness research, which could substantially reduce their profits. These medical industries want a seat at the reform table so they can influence a process that might otherwise dismantle them. The president has joined hands with this medical coalition because he needs them. These reform adversaries, with their tons of money and influence, could sink the ship before it even leaves port. Harry and Louise, the hokey and effective media campaign that helped to deflate the Clintons’ health care reform effort, will seem like a pea shooter compared to the weapons that medical special interest groups are prepared to wield today. The Kabuki dance we witnessed at the White House this week can quickly evolve into a hostile conflict. Both sides will stay at the campfire for now. This is the domestic version of realpolitik, the policy of dealing with unsavory governments if it serves our national interest. Everyone knows the game here. They will all sing from the same hymnal as long as it serves their interests. Soon, however, interests will diverge and fissures will develop. Accusations will replace amity. The peace pipe will be exchanged for a lead pipe. Each side will stridently argue that if the other side prevails, then the health care system will be ruined. For the moment, we are to believe that the romance is real. But, this love won’t last. Soon, arrows will fly and they won’t be coming from Cupid’s bow. Comparative Effectiveness: Sound Policy or Socialized Medicine? Comparative effectiveness is a new term that’s been pushed into the health care public square. Get to know it since it’s here to stay. The prestigious New England Journal of Medicine published 3 commentaries on the subject in its May 7th issue. More importantly, this new concept in medical quality measurement has also been reported by the lay press to the public. The debates and discussions that will follow in the coming months will be as calm and civilized as the gladiatorial contests were during ancient Rome. Comparative effectiveness (CE) aims to determine which medical treatments truly work and which should abandoned. The federal government will be spending over a billion dollars funding studies to try to objectively demonstrate which medical interventions are effective. It is hard to object to this mission. Nevertheless, comparative effectiveness will polarize the medical world. Opposing camps are already preparing for battle because for many interest groups, this may be an existential war. If CE succeeds, then there will be some winners and many casualties whose careers and companies will be ended. Sounds like health care reform will be a fun spectator sport. Only the most partisan player could deny that billions of dollars are wasted on unnecessary and inefficient medical care in this country. (See related link. )It is a more challenging task, however, to define what wasteful care is. CE research aims to do this. An insurance company or the government, for example, may argue that a stem cell transplant for a relapsing cancer patient is below the efficacy threshold. The cancer patient and his family, however, will have a different view. They, of course, are desperate for any measure that might rescue the patient from death and may cite a few preliminary medical studies that suggest a medical benefit. (While I can’t explain this further in this posting, many medical studies demonstrate a ‘benefit’ that does not really benefit the human patient.) If objective research can demonstrate that a specific test or treatment doesn’t work, or that an alternative is superior, wouldn’t we want to know this? Comparative effectiveness antagonists say that this is really a stalking horse for socialized medicine, a radioactive political term that was used to help doom the Clintons’ attempt to reform health care in 1993. Others cry that this is really camouflaged medical rationing, as occurs in Great Britain. Let’s not let cries of socialism or doomsday distract us from the need to prove and encourage medical quality. If the government’s current plan is really a poison pill, then opponents need to present their proposal of how to reach the same objective. CE proponents will vigorously argue their case, but will omit the inflammable terms socialized medicine and rationing from their public briefs. Nevertheless, there will need to be a prioritization of medical tests and treatments if health care reform is to gain any traction. Call it rationing or whatever you want, but the new system will have to accommodate several pesky facts and considerations. Billions of dollars are spent on medical care that provides marginal benefit to Americans. The current physician and hospital payment system encourages excessive care and treatment. Patients are not entitled to unlimited medical care, particularly if they are not paying for it. There is no objective agency that evaluates medical effectiveness and appropriateness. At present, medical effectiveness is declared by those who have a financial interest in the device or treatment. Money gained by eliminating unnecessary care could be used to fund proven and underutilized treatments, such as immunizations, mammograms and other preventative medical tests. The reality is that there is no unlimited pool of money to fund every available medical treatment for every patient. Priorities must be assigned. I view comparative effectiveness primarily as a quality initiative, not a cost control effort, but the financial savings would be staggering. Afterwards, we can argue about where to direct these newfound funds. To insure 46 million Americans? To the National Institutes of Health to fund studies on cancer research? To subsidize drug prices for the elderly? To develop personalized medical treatments directed to our individual genetic code? Comparative effectiveness will be attacked, sliced, diced and impaled, but the concept of medical prioritization must survive this effort. Personally, I think that physicians should spearhead this issue, but doctors would have to set self-interest aside to assume this leadership role. I hope that they will do so. In my own family, we have limited funds to run the household. There are many activities and purchases that are beyond our means. Like every other family, we choose to pursue those that are truly essential and we can afford. Lower priority items, although desirable, are skipped. Yikes! I must be rationing with my own kids. Is there another term I could use? Comments welcome. Physicians and patients are under more strain than ever before. Electronic medical records (EMR) won’t be a force of healing, but will threaten to divide the parties further apart. We physicians are already under more stress than ever before. We are working harder and earning less. Insurance companies dictate how much (or how little) we are paid and what medicines we may prescribe. We are crushed by an avalanche of absurd paperwork. We worry about being sued even if we haven’t done anything wrong. Patients are more dissatisfied today also. They often feel rushed through appointments without having adequate time to express their medical concerns. They want more communication and softer bedside manners from their doctors. They want more conversation and fewer medical tests. They complain that medicine has become more of a business than a profession. They admire Dr. House’s diagnostic acumen, but they still want Marcus Welby as their own doctor. 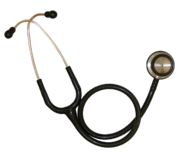 All of these issues strain the doctor-patient relationship. EMR will only widen the fissure separating doctors and patients. I have heard repeatedly how dissatisfied patients are with EMR technology. In these offices, physicians are interviewing patients hunched over a keyboard as they record their patients’ medical information. Eye contact, a warm smile, a gesture and an understanding nod are not part of the high-tech EMR software. It’s all business now. Understandably, patients have found these impersonal data entry sessions to be sterile and disappointing. Is this technology the antidote for a relationship that needs more attention and healing? I doubt it. It is another ‘advancement’ forced upon us that will come at the expense of something important. EMR, at least in its current state, will be a force of ‘progress’ that will take the doctor-patient relationship in the wrong direction. Let’s hope that EMR doesn’t come to mean the End of Medical Rapport.